I have been using Windows Phone 8 for a solid two months now, first with the Nokia Lumia 920 and then the HTC Windows Phone 8X. And just like it was a year ago with Windows Phone 7.5, and the year before that with the original Windows Phone 7, I am in love with this OS. The beautiful Swiss-style Metro UI is just perfect for my mobile needs. It's so intuitive even a bloody cat can operate it. I can't go back to using an Android or iOS device without muttering, bloody Xerox grids. Go back to the 1980s where you belong. 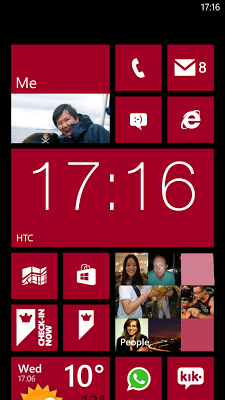 But as before, Windows Phone's great UI and UX aren't enough. 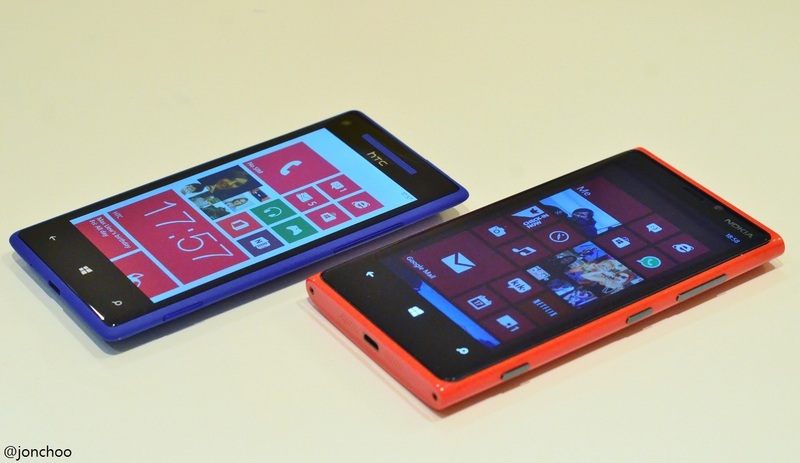 There is so much to Windows Phone 8 that doesn't deserve Microsoft's inaction. I understand they had to get Windows 8 launch out of the way, but their strategy with Windows Phone is now making less sense than ever. They stumbled upon such a beautiful UI that they even made their core OS and Office products out of it, so the first product line to ever use it (Zune doesn't count) should deserve more than being just existing as a beautiful empty vessel. The thing that Windows Phone does best (apart from featuring a modern design), is integration. Facebook is already so well integrated with Windows Phone 7/8, I hardly if ever, use the official Facebook app or their mobile site - in fact I call Windows Phone the real Facebook phone (sorry HTC ChaCha). I would like to see Microsoft take this integration to social network further - first by introducing more Twitter features into the People Hub and second by integrating other social networks such as Foursquare. If it weren't for the lack of Direct Messages and Reply-to-All feature on the People Hub, I wouldn't be using a third party Twitter client. It isn't only the People Hub that would benefit from further social networks. The Photos Hub already pulls pictures from my Facebook account, and damn, does it do it well. So well, it feels like my 154 Facebook photo albums are actually stored locally, on the device. But I would also like to see Instagram, Flickr and other picture sharing networks on it. After all, Microsoft has created one of the most social mobile OS - so why stop at Facebook and Twitter? And please, the Flickr app doesn't count - it is plain awful. A notification center is also needed, if only because people are now so darn familiar with the concept of a compartmentalised part of an OS where all notifications go to die. But rather than the usual unergonomic pull-down method favoured by Android and iOS, Microsoft can introduce this feature in a fairly efficient way. This could be done by allowing us to swipe to the left pane of the home screen. It's simple and elegant and doesn't require one to have freakishly long thumbs. Finally, HDR mode. Mobile phone cameras are awful - in fact all digital cameras have awful dynamic range when compared to film. But the issue is more prevalent in mobile phone cameras with their small tiny sensors and lack of RAW support. HDR mode baked into the camera will solve this easily. Apple did it in such an elegant way on iOS; and various Android OEMs have solved the issue by creating their own camera apps with HDR functionality (with a wide varying degree of success). Sure, there are ways to get HDR using 'lens', but I have yet to see a HDR lens that is worth our time. Now, this wouldn't be an issue normally, but Microsoft has mandated that manufacturers are not allowed to replace the camera app - which is something I approve. But it also means we are stuck with HDR-less camera mode until some boffin at Microsoft begins to realise that there's a photography trend right in front of them they have been ignoring for the past two years. Hei Microsoft, people want HDR, so give us some love! Using lens just isn't the same. There are obviously other fixes to be had - for example, independent volume, universal search - but to me these aren't deal breakers (though they probably are for some other people). Support for higher resolution screens can easily be shooed in, and Windows Phone already supports multi-core processors, so the blame for the lack of WP8 smartphones with quad core Snapdragon SoCs purely lies with the manufacturers. And that's it really. 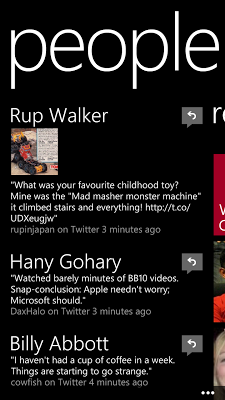 These are my biggest gripes with the current version of Windows Phone 8 - some of which I can deal with, but some I couldn't. For example, the lack of Instagram app meant I still have to carry a separate Android phone with me - every freaking day. There will come a time again when I will think, 'why bother? ', and just go back to using an Android device full time, just like when I switched from my Lumia 800 to whatever Android phone I could get by paws on.